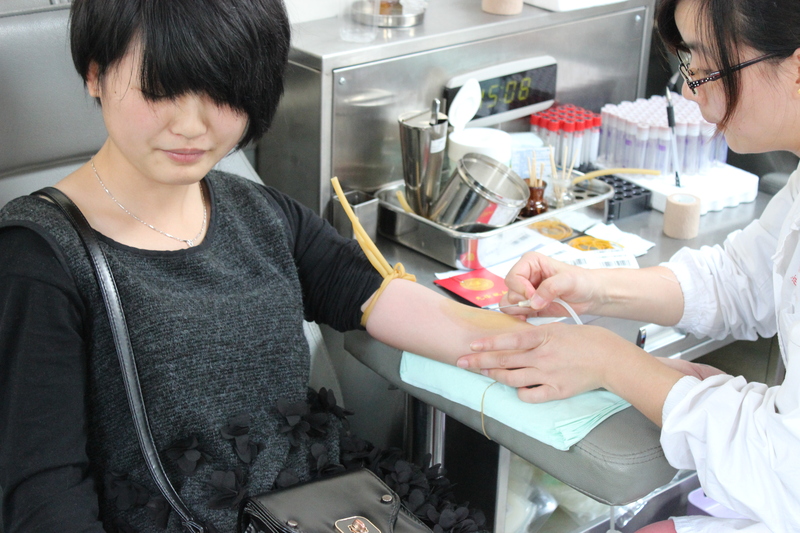 To develop students’ spirit of dedication and encourage them to serve the society, the Red Cross Association of Zhejiang Changzheng Vocational and Technical college co-organized a voluntary blood donation with Hangzhou Red Cross blood office on November 6th. At 10 a.m., when the blood-collecting vehicle just stopped before the library, lots of students came up for consultation and registration. Doctors from the Blood Centre answered all the questions in detail and with great patience. They explained that donating blood is safe and good for health, besides, donators can pass their love to those who are in urgently need. Soon, students lined up before the blood-collecting vehicle, filling in the registration forms and waiting for the test report. Many of the students interviewed said that they were first-timers, thus feeling a little bit nervous. Even so, they were all willing to donate blood because it would help to transfer their love to the patients. On the spot, crowds of students were filling registration forms, having physical tests, waiting for blood drawing, or taking a rest in excellent sequence. Until 6 p.m., 235 students and teaching staff participated in this campaign, and the entire blood donation collected 58,760ml of blood. 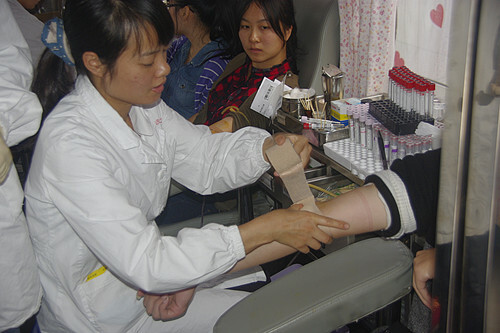 An official from Hangzhou Red Cross Blood Office said that this campaign was carried out among the colleges and universities in Hangzhou, and they were especially moved by the active participation of the students in our college. The blood donation not only plays an important role in the community cultural activities, but also shows the enthusiasm and love of the students. Meanwhile, it helps to publicize the knowledge of blood donation and present hope to the patients.